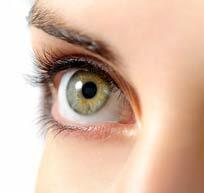 The most important part of your eye exam is the ocular health evaluation. Your exam will include a dilated retinal exam, glaucoma testing and further individualized diagnostic testing to fully evaluate the health of your eyes. We will take the time to listen to you and your concerns. You will leave our office fully aware of the health of your eyes and understand any eye conditions or diseases that you may have. We will give you quality time explaining everything from the different diagnostic exam elements, findings and treatments. The mission at Stoughton Eye Care & Eyewear is to provide the highest quality patient experience by protecting and enhancing vision, along with promoting ocular and systemic health.